As the final assignment of the course ARCH 221, I decided the “transition” as a concept that is in relation to the experience of space and also my architectural element is “courtyard”. Transition is one of the basic concepts of architecture. It is cannot only passing from open space to closed space, but also it connects between everything which have different qualities such as from narrow space to large and from regular to irregular. In short, it act as a bridge. When looking at the history of architecture, there are many various spaces which enable transition parts. One of them is the courtyard. Both of them are an integral which complete each other. Courtyards which were private open spaces surrounded by walls or buildings have been in use in residential architecture for almost as long as people have lived in constructed dwellings. The courtyard house has played a major role in people’s life because of the fact that they have been used for many purposes including cooking, sleeping, working, playing. Its function as transition space between outside-inside and between rooms obviously. Courtyard houses consisting of multiple separate residences have been built in many regions and eras and also it changed in time. When analyzed the forms of courtyards in history, the first courtyard formation was appeared ca. 6400-6000 BC, in the Neolithic Yarmukian site at Sha’ar HaGolan giving the site a special significance in architectural history. There is no clear evidence, but it is understood from the boundaries of the site. The houses consist of a central courtyard surrounded by several small rooms. The using of courtyard started to use in there and moved on in kinds of civilizations in many way. After some time, in Skara Brae, people started to separate to their houses which stands on the far side of a paved open air courtyard. It became a transition part between rooms. Unlike the central courtyard in the settlement, it provided a private life inside the house. Among the Mesopotamian architectural accomplishments are the courtyard house was an important development. The courtyard house was the predominant typology, which has been used in Mesopotamia to the present day. The house has an open courtyard which provided a cooling effect by creating convention currents. It was think that the courtyard was the primary organizing feature of the house, all the rooms opened to it. The Sumerians were the first society to construct the city itself as a built form. When looking at the ancient city of Ur, it is seen that it had a particular order and all of the houses and palaces etc. which had courtyard system. In the Egyptian architecture, we can see the courtyard style in the temples. The best sample is Luxor temple. The central uncovered area in a Roman domus was referred to as an atrium. We generally use the term courtyard to refer to such an area, reserving the word atrium to describe a glass- covered courtyard. This courtyard also has a central pool used to collect rainwater. On the other hand, civilization of Rome has large public spaces called Forum. These Forums which consist of temples, basilicas, arches, monuments, and other structures were a kinds of a courtyard in the public space. This place enable transition between different structures and also it was for public meeting. In the same period Greek architecture were maintaining. There were many architectural forms allied successfully. One of them was the Agora (public square)surrounded by storied colonnade and other structures. Agora was a kind of a public courtyard like Roman Forum. When looking at the classical houses, majority of them opened at one side onto a small courtyard which enable light and fresh air. Larger houses has peristyle courtyard at the centre, with the rooms arranged around it. The palace of the Knossos is the good example for the palaces in the ancient Greek. Its main feature was the central courtyard. It provided access to several areas, including a throne room, a central palace sanctuary and a residential quarter, which may have housed royal apartments. When coming to the medieval age, the style of courtyard houses in the middle east reflect the nomadic influences of the region. In the Romanesque architecture which combining features of ancient Roman and Byzantine and buildings and other local traditions used central courtyard in the monastery and cathedrals. They were enclosed, arched courtyard connecting the different buildings that made up the complex, and serving space for retreat and meditation, and for performing ablutions. On the other hand, Islamic architecture continue own existence in those terms. It continues from the foundation of Islam to the present day. Undoubtedly, courtyard style developed and used in Islamic architecture. Islamic architecture is the heart of the courtyard. It was used in many mosques, madrasah, caravanserais, baths and palaces. The home of the Prophet Muhammad is considered the first mosque. His house, in Medina in modern-day Saudi Arabia, was a typical 7th-century Arabian style house, with a large courtyard surrounded by long rooms supported by columns. This style of mosque came to be known as a hypostyle mosque, meaning “courtyard with many columns.” The courtyard called ‘sahn’ in the Islamic architecture. Most traditional mosques have a large central sahn, which is surrounded by an arcade on all sides. In the 11th century, a different architectural style occurred. Hypostyle mosques started to be converted into four-iwan mosques, which, as the name indicates, incorporate four iwans in their architectural plan. We can see that this sample in the Jameh mosque of Isfahan. The layout is arranged around a large open courtyard. The courtyard were used for the transition between iwan mosques. When the Islamic architecture came to the 12th century, on the other hand, gothic architecture occurred after the Romanesque architecture. In this term, many architectural styles began to change. It was used pointed arches in the buildings. Of course, courtyard style affected from that term features. It still used in the cathedrals and monastery such as Porto cathedral. After the gothic term, Renaissance architecture followed Gothic architecture. In their courtyard, given importance to the horizontal emphasis, contrasting Gothic architecture. The best example for the renaissance term courtyard is Palazzo Medici Riccardi. Open colonnaded inner courtyard at the center of the palace, based on the monastic cloister of medieval times. After that term, in 17century, this style was continued and succeed by Baroque architecture. When looking at the baroque architecture, the best structure was the palace of Versailles. This is the inner Royal Courtyard of Versailles. In there, people begin to appreciate the amount of gold on the buildings. As part of the free land grant in Versailles, the roofs of the buildings and houses of the new city were not to exceed the level of the Marble Courtyard at the entrance of Versailles so that the perspective from the windows of the palace would not be obstructed. To sum up, courtyard form was used by many civilization, architectural terms and etc. Courtyards have historically been used for many purposes including cooking, sleeping, working, playing, gardening, and even places to keep animals. They have been designed and built throughout the world with many variations. It changed according to the architectural styles in time, but its purpose of usage in terms of transition not changed. The Baroque period was one of the most exciting times for European architecture. During this period, from the end of the 16th century to the dawn of the 18th century, European architecture exploded in novel directions. Rather than designing a single building, an architect might be responsible for reimagining a complex of buildings, or even planning an entire city. With this shift, the capital of art and architecture moved from Rome to Paris. Regular, repeating designs gave way to curves and irregularity, as various styles were mixed and adapted. Yet this variety was regulated for the purposes of symmetry and grandeur. Finally, for the first time since antiquity, architects began tinkering with optical illusion in building. They realized you could trick the eye into making a large building seem even grander. This hearkens back to Greek tricks that allowed their grand temples to tower even larger in the eye of the beholder. Let us begin, as the Baroque style did, in Italy. Here we can see the most obvious Baroque architectural innovation: the use of curves. At the Church of San Carlo alle Quattro Fontane, we can see how straight lines were replaced with delicate curves, giving the building its distinctively Baroque feel. There is no doubt that the best example of Baroque architecture is in Italy is at Rome itself. At the heart of the Vatican stands the Basilica of St Peter. This impressive structure reached its current state at the hands of Baroque architects. Saint Peter’s had featured a central plan design, upon which various architects had worked (especially Michelangelo). Maderno converted the building into a Latin cross basilica by extending the nave, thus pushing the main entrance of the church forward. Saint Peter’s can therefore be roughly divided into two parts: the core and the front extension. The great dome of Saint Peter’s is also chiefly Michelangelo’s work, though Maderno did adjust its proportions (by stretching it vertically). The facade of Saint Peter’s contains a number of typical Baroque elements, including double columns, layered columns, colossal columns and broken pediments. All of these elements were pioneered during the Late Renaissance, in mannerist architecture. This reading is about changes in cities, layout of new towns..etc. The strength of cities comes from the free exchange of goods and services, a function which bishops and feudal lords did not encourage. Even so, an episcopal or royal palace helped to some extent. On the other hand, fairs and pilgrimages, increasingly safe after the year 1000, breathed life , into stagnant cities. The healthier among them tempted the passing tradesmen to settle for good. These extramural merchant colonies, called faubourgs in French, were the beginning of urban expansion. The faubourgs were just outside the town, in front of one of the gates or across the river. The walls were there to control entry in peacetime, as well as to safeguard the trading activities of foreigners who paid for the privilege. The personal safety of the town people was only one aspect of defensive outlays. It was imperative to keep the town small, not only because walls cost dearly to built, but also because unlimited expansion reduced the take at the gates and diluted the rights of those within. Under the circumstances, the most sensible layout was the wheel: radial streets converging on the hub from the gates of a circular wall. In the older Roman grids, on the other hand, which favored the four arms of the crossing axis, diagonals might be cut through the rectilinear blocks, or secondary markets might be established away from the main marketplace. In new towns term, an occasional bishop or abbot began to establish new towns. For the royal houses, this activity was an overall strategy to take effective possession of their territory by populating it. The towns always small and the land subdivided into burgage plots, was distributed among the first comers. Each men had to build his own house on the plot given him, with this way towns plans started to occur. The city center in Florence, the very design of the city-form was both cumulative and participatory. In early fourteenth century the city center was an imposing ensemble of new public buildings, among which visual relationship were being clarified step by step. Also in this term, the commune was busy with the cathedral, Orsanmichele, and the latest set of walls begun. The most famous structure was the Florence Cathedral in that term. To construct the dome of Florence Cathedral, often mislabeled as the first Renaissance structure. It was inspired by the Pantheon, its construction was of a double-shelled type built around a Gothic ripped vault. Also the basilica is one of Italy’s largest churches, and until development of new structural materials in the modern era, the dome was the largest in the world. It remains the largest brick dome ever constructed. When Constantine establishes Christian churches as publi buildings, in the 4th century AD, the basilica is the natural form for any such place of gathering; and the apse is ready made for the altar. The three great churches founded by Constantine in Rome are all basilicas. Carolingian society was Church-ridden clerial. Its constructive cleverness showed best in religious architecture. The new church form, mobilized by Frankish patrons and architects was to preempt the built environment of the later Middle Ages in the Westland stand for the chief rallying point of the social life in Europe. In reality, the passage form Carolingian to Romanesque was neither smooth nor uninterrupted. The story of architecture in the eleventh century, then, is much more than the rise and triumph of the Romanesque church. Inns, hospices, rural enclaves, roads, bridges, castles- all these should have their place in the story. Romanesque architecture is an architectural style of medieval Europe characterized by semi-circular arches. In the Romanesque term(9th – 12th century), it has become applied by extension to other arts, in particular sculpture. But the term remains most appropriate to architecture, where the round arches of Romanesque can easily be seen as what the name implies – a continuation of the Roman tradition. As a body of knowledge was eventually re-developed, buildings became larger and more imposing. Examples of Romanesque cathedrals from the early Middle Ages are solid, massive, impressive churches that are often still the largest structure in many towns. The arches that define the naves of these churches are well modulated and geometrically logical—with one look you can see the repeating shapes, and proportions that make sense for an immense and weighty structure. There is a large arcade on the ground level made up of bulky piers or columns. The decoration is often quite simple, using geometric shapes rather than floral or curvilinear patterns. Common shapes used include diapers—squares or lozenges—and chevrons, which were zigzag patterns and shapes. Romanesque churches were dark. This was in large part because of the use of stone barrel-vault construction. This system provided excellent acoustics and reduced fire danger. However, a barrel vault exerts continuous lateral (outward pressure) all along the walls that support the vault. This meant the outer walls of the church had to be extra thick. It also meant that windows had to be small and few. When builders dared to pierce walls with additional or larger windows they risked structural failure. Churches did collapse. Later, with the architectural developments, Gothic architecture evolved from Romanesque architecture. several significant cathedrals and churches were built, particularly in Britain and France, offering architects and masons a chance to work out ever more complex and daring designs. The most fundamental element of the Gothic style of architecture is the pointed arch, which was seen from Islamic architecture. The pointed arch relieved some of the thrust, and therefore, the stress on other structural elements. It then became possible to reduce the size of the columns or piers that supported the arch. The slender columns and lighter systems of thrust allowed for larger windows and more light. The Notre Dame Cathedral is probably the finest example of French Gothic architecture. It employs all the structural elements of the new Gothic architecture: the pointed arch; the rib-and-panel vault; and, most significantly, the flying buttress. Its spiritual intensity is heightened by the fact that no direct light enters the building. All the light is filtered through stained glass. During the Hellenistic period, architecture emphasized on decoration rather than function. In this term, the Greek continued to build temples , but also began to build a lot of other types of large public buildings. The architecture is similar to Hellenistic sculpture, focused on theatrically, drama and the experience of the viewer. The Doric order was abandoned because it was considered too formal. On the contrary, the architectural style of the Ionic order, being more decorative and elegant, was preferred to suit the aesthetics of the Hellenistic period. They was put their wealth on display for all to see; building elaborate palaces and commissioning art sculptures and extravagant jewelry. Public spaces and temples were created with the people in mind, and so were built on a new monumental scale. They were constructed on larger scale in more ambitious configuration and complexity. On the other hand, classical temple was self-contained and active. They had a relation with nature and built which gave it scale. One of the famous temples in this term was temple of Apollo. Unlike a typical Ionic and Doric temple, the plan of the Temple of Apollo consists of a temple within a temple. Normally, a temple’s foundation will lie on a more or less consistent horizontal plane. As one approaches this temple, the stairs in the center of the east side are marked off as the entrance. When we look at the determinants of city form, the structure of grid maintained its importance in this term. Besides that, plan of the hilly site was given importance and based on the vertical, three dimensional alliance of major building groups. The cities of that period had the main gate, acting this as the threshold between the nature and the urban landscape. The monumental public buildings contributing both the rural population as well as those living within the city’s walls, constituted the urban landscape. After the structure of temples in the ancient Greece, the another significant orders were urban planning. The Greek people formed the cities called polis and acropolis that have an important in terms of architecture. Acropolis refers to the ‘upper town’ of any Greek city. The majority of the Greek cities were built on hills and the acropolis. It was the centre of religious and political life. In these days, there were some rules to compose the settlement of the city. One of them was the large open space for the people in the public center. When analyzed as a whole, there is a orthogonal planning in cities of Greek. This is also called ‘grid plan’. The grid provided a straightforward way to divide the land shape the structure of the city. It was purposed that the placement of sites dedicated to public life and sacred space, was to be used for housing. Hippodamus first applied to his home city the grid plan which he had developed on inspiration from geometrically designed settlement, and that later many cities were laid out according to this plan. Mietus, which is a fine example of the grid plan, comprises houses on blocks created by streets and side streets crossing at right angles, with public buildings in the city centre. The Hippodamian who applied the grid system divided into three categories to the city. These are sacred, private and public. Stoa is a Greek architectural term that describes a covered walkway or colonnade that was usually designed for public use. It was described as ‘marketplace’ in Greek agora. The agoras of the Miletus are defined by stoas in terms of some aspects. Stoas became elements of a design, making open space formal and monumental without enclosing it. The bronze age is a term that was managed by royal class.In general, in the settlement in coast of the Aegean, palaces and castles were built by princes. In that term ,there was not any wall to defense surrounding of the centre so, palaces could extend easily. The Asia in the bronze age was the first homeland of European civilization such as settlement of Çatalhöyük. I mentioned about it in previous reports. In this term, Hittite state had a great imperial power and a look at Hattusas gives us information about the Hittite environment. Hattusas was on a spur of rocky hills. After some time, Hattusas became capital of the Hittite and defense and intimidation had an important. There were not defense manmade. They made walls to increase level of security. The walls skillfully followed the land contour. They were built on a huge embankment of earth The structure , made of mud- brick reinforced with timber beams. Also they built a long tunnel to defense themselves at the bottom of the embankment, below the apron wall also it had a single gate. The another significant and impressive remains are temples in Hittite. Four of them that become important had not standard and typical orientation compare with other temple structures. Style of the temples in Hittite, they remind of the Mesopotamia and Egypt, but they differ from its contemporaries at Thebes and Ur in some aspects such as style of court. The another important lands in Asia history are Beycesultan and Troy. Beycesultan which is one of having different interest for architectural study had a modern settlement near the source of the Meander river. These two settlement had main characteristic features. They had not religious building of public scale. Most of the structure was residential and administrative. When looked at the style of the palace in that civilization, Megaron, in ancient Greece and the Middle East, architectural form consisting of an open porch, a vestibule, and a large hall with a central hearth and a throne. It also built as part of houses and it is the central feature of all Mycenaean palaces. The Megaron dominated the palace complex in size and determined its axis. End of the Bronze age, began the immigration in Aegean, permanent settlement changed. political, social and cultural layers occurred a new political order. Effects of the events, bring about architectural changes. Architecture of Greek was completely for society. In city plans, old systems moved on with same traditions. From these early times, one specific building type predominated is the temples. They were built with local references and traditions. Initially, the temple took the form of a single room. Outside was the altar, which was used for animal sacrifices. The columns appeared in the interiors of these buildings. the peristyle was unique to Greek architecture and it was to remain one of the most characteristic features. In Greek, ratios and proportions were properly applied to both ground plans and elevations perfectly. It had perfect balance of parts. 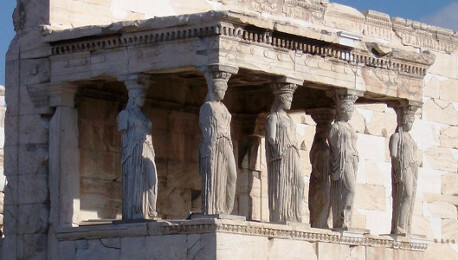 Now, I want to mention about three important orders in Greek architecture. These are Doric, Ionic and Corinthian. Doric columns stood directly on the ground of a temple without base. The most popular example for the Doric design columns is the Parthenon in mainland Greece. The Parthenon had Doric order is the largest temple in classical Athens. Its sculptural enrichment is more familiar with Ionic order. On the other hand, Doric order has three main characteristic features: strength, masculinity, solidity. The Ionic order is the contemporary of the Doric. Also it has main characteristic features: beauty, femininity and slenderness. Corinthian order is the last developed of the three principal classical orders of ancient Greek. It differed from the Doric and Ionic in terms of structural system. It was purely decorative. It was mentioned about the beginning of architecture in Neolithic age in previous reports. Now, I will talk about Egypt architecture . In ancient Egypt, Neolithic village life developed and continued instead into two main principles. This term was based on Lower Egypt and upper Egypt. Both of them settled different location and they had a separate capital. When it is investigated in terms of architecture of the Egypt structure, it can be say that vernacular architecture surfaced was the main characteristic feature prominently. Moreover, there is a balance between tradition and innovation. character of the structures were defined according to the style of time. In structures of the Egyptian, tectonic and organic concepts were continuous features. 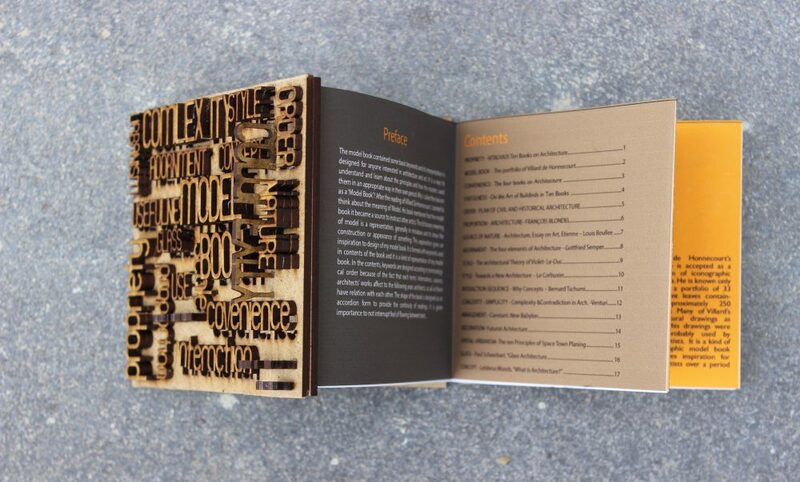 They emphasized these concepts especially in vertical elements. They usually used block stone in the structures to provide permanence. The other significant architectural structures were tombs and temples which represent the Egypt’s religion throughout Egypt history. Architecture in Egypt began with structure of the tombs of Kings. Egyptian believe life after death so, they designed the tombs as a house and people were buried with their valuable possessions. At Sakkara, the royal tombs were more complicated. This is the most famous pyramid in Egypt. The another important Pyramid is Zoser’s pyramid complex . the tomb was elaborated too much. Also it is not same with other Egyptian principles like axis sequence. Its architecture developed other ideas the sol ruler of upper and lower Egypt. 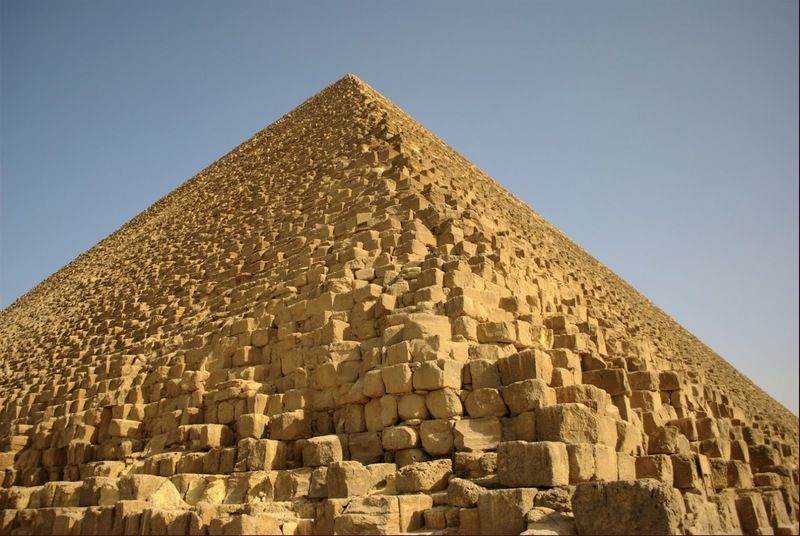 In this pyramid, It was used double tombs, court,… and all this was done in stone. Brick, timber, and plant forms of Egyptian architecture were based on this tomb. The Zoser’s pyramid is the central feature of a vast mortuary complex in a huge courtyard surrounded by ceremonial structures and decorations. The tombs in Egypt is visually close to the Mesopotamia Ziggurat, but there is an obvious differences between them. At Sakkara, there were no manageable stairs for human. There is not any sort to be reached (architectural climax).It was a structure that sublimated the holy person of the king. The another important pyramid is Giza. The Giza which has classical beauty and have a significant slope was consisted of three pyramids. Mykerinos, Cheaps and Sneferu. Cheaps was the biggest one and it is one of the seven wonders of the world because of the fact that it is the biggest structure being man-made. The another famous temple structure is Deir el-Bahri. It is a complex of mortuary temples and tombs located on the west bank of the Nile. The first monument built at the site was the mortuary temple of Eleventh dynasty. It is consists of three elements. These are a large forecourt, terrace and hypostyle hall. The temple was a square building faced externally with colonnades, except on the cliff side. In this temple, terrace that is surrounded traditional forms and columns and centre were combined. Also there is a courtyard with columns like other tombs. In the ancient Egypt, the other significant architectural temples are Karnak and Luxor. The temple of Karnak was known as most select of places by the ancient Egyptian. It is a city of temples built over 2000 years. It is the largest religious building ever made. The hypostyle hall has 134 columns and it still protects the feature that being the largest room of any religious building in the world. The this term structures procession began at Karnak and ended at Luxor. The two temple compounds on the east bank, Karnak to the north an which was known as Amon’s “southern Harem”. If, after thousand of years, Egyptian temples protect the own secrets. it cannot still identity how it was built and who is built, but it has essential elements for the architecture in Today’s World. Today I visited to Museum of Anatolian Civilizations in Ankara. I observed the old terms in terms of architecture. The museum which is big place includes historical remains from nine different civilizations. The terms began with paleolitic term. In this term, human comsume wild vegatables and they ate the animals they hunted. They drow and wrote down to them on the wall. There are many murals as can be seen in the figure below. The next term was neolithic term. I observed that tools, animal figures, ornaments changed in the term. I think that knifes and other cutter tools’ shapes were changed, after growing the agriculture. On the mural painting, there are different figures, life experiences belonged to that term. When I look at ornaments and ceramic forms, there is no differences between today’s and past. In spite of the conditions, ornamantation were developed on the highest degree. Especilly, water pans which have ornaments on them and their shapes looks well-made. Making brancelet, necklace and other ornamants for women maintain their importance in today. They look perfect 🙂 The museum is a interesting place to understand the old terms so you should visit to there as soon as possible.. The text starts with two basic questions. Where do we start with a history of architecture? When did architecture begin? Architecture begin with human beings and it protects to existence as long as human lives. The stone age is that we want to understand the ambitious creation of an environment separate from the natural orders. Lancaux Cave is the famous example of the old stone age. The cave includes different murals on the wall. These present different kinds of accents to learn about them. People called Cro- Magnon in that term have some anxious thoughts to shelter and they challenge to survive. Result of that concept of architecture occurred. Thought of shelter brought about need of housing. In new stone age term, people settled and turned to farming and animal husbandry. Cave was used as sanctuary. After the adaptation the sedentary life, people started to discover new, appropriate natural environment and animal resources to produce food and to survive. People developed and mastered in time in terms of agriculture and husbandry. Basics of architecture gradually began to occur prominently. Individual life started through the concept of shelter. According to the remains, stone was used to mark the open space and to divide the places from each other. On the other hand, sacred life was distinguished from daily life. When we look at the architecture of Western Asia, architecture developed with urban revolution. If we give an example of that, Stonehenge was the significant site in that term. There are two ways to note worthy things about the poetry from Mesopotamia. First one is the written records which includes accent differences in comparison to now. The second is the passage sings. In Western Asia, structure of public are bonded to the places where people live, in turn, are bonded to each other. This order creates perception of mesh. The city revealed new and different idea about environmental orders. With this concept, People were aware of the streets, the public squires were developed. When urban revolution looked at as a whole, it has differences from the Neolithic revolution in a way. Urban revolution was not related to the hunting, and natural circumstance, it contributed to embody agriculture and husbandry. With this way, people’s social lives improved and most of the things which affect the people’s lives changed ineradicably. Now, I want to mention about the issue that attract attention. Jericho…This place is the best (and first) example of the city- form in Western Asia. It is regarded as the earliest surviving town on Earth. Jericho had a strong source of freshwater. People settled to there and developed life conditions by means of the source such as hunters, drink, and agriculture. In today, the source of water called Jericho’s fountain. The another similar settlement is Khirokitia. In the Jericho, the street was missing ingredient in the city. The city has street form known first in the records, so both of them are different in terms of idea of settlement. Jericho has more closed concept, Khirokitia has an open composition. There is a main big street and other houses were aligned in two sides. According to them, we can say that thought of settlement became remarkable in time.